The military and intelligence communities all over the world are working together to control society. They are using technologies to oppress, surveille, and mind control populations. The US and the United Kingdom along with its common wealth states of Australia, Canada, and New Zealand have a joint intelligence operation called Five Eyes which runs its ECHELON program used for gathering intelligence. ECHELON is working with the NSA’s MAINWAY and MARINA to hack, steal, and store private information intercepted from telephone and internet communications and data. The NSA which is headed up by Michael S. Rogers, George C. Barnes, Mark W. Westergren, Harry Coker Jr., and Earnest Green is spying on everyone through hidden cameras and microphones in smart devices, televisions, and computers. The exposure of this criminal spying which completely violates the 4th Amendment and human rights is also a distraction from their electronic harassment and nervous system hacking weapons. The information is stored in the Utah Data Center where they develop psychological programs on civilians used for targeting. All of this is entirely criminal. ECHELON is being covertly hacked by the Swiss ONYX interception system headed up by Guy Parmelin the Federal Councillor of the Swiss Federal Department of Defence. I believe the Swiss intelligence agencies are working with Italy’s AISE, France’s Directorate-General for External Security headed up by Bernard Bajolet and Germany’s Federal Office for the Protection of the Constitution or BfV headed up by Hans-Georg Maasen. Germany’s Federal Intelligence Service or BND and their Project 6 surveillance program has joint operations with the CIA headed up by Mike Pompeo and Gina Haspel. The BND is a continuation of the Gehlen Organization. Reinhard Gehlen was a Knight of Malta and Nazi who worked for the CIA after the US military took control of Germany during WWII. The BND is located in Pullach, Bavaria and I believe is under the authority of the Bavarian House of Wittelsbach. Pullach was a Fuhrer Headquarters for Nazis and the same land is used by the BND today. Dan Coats is the current Director of National Intelligence under Trump. Coats became Ambassador to Germany on September 10, 2001 under George W. Bush and established a new embassy in Berlin and made close ties with Angela Merkel. Dan Coats is a double agent working with German princes which run Germany’s proxy government which are also the same families that engineered the Nazis. Bantz J. Craddock is a former US Army General who served in the 8th Infantry Division in Germany where he received the Badge of Honour of the Bundeswehr. Craddock later became President of Military Professional Resources Inc. a private military company that was accused of participating in a genocide in Yugoslavia. Tadeusz Kosciuszko was a Lithuanian nobleman, American military general, and agent of the House of Wettin now called the House of Saxe-Coburg which ruled the Grand Duchy of Lithuania. Tadeusz Kosciuszko was the architect of West Point. Former NSA Director Keith B. Alexander went to West Point and was running the NSA from 2005 to 2014 as they implemented and increased their unlawful spy programs, criminal intelligence gathering on Americans, and electronic terrorism. The European Union uses Schengen Information System which unifies European intelligence gathering. The EU Commission is headquartered in Belgium and Luxembourg with Jaak Raes the head of Belgian VSSE intelligence and Patrick Heck the head of Luxembourg’s SREL intelligence. The EU is based on the Treaty of Rome and was signed in Rome at Capitoline Hill. Jean-Claude Juncker the President of the European Commission is a Knight of Malta. Northbridge Services Group is an international private military company headed up by Robert Kovacic with Belgian associates. Russian Federal Security Service runs the SORM surveillance system on Russian civilians. Israeli Mossad and the IDF’s Haman run Unit 8200 and they run Luxembourg based Intelsat satellite interceptors along with British Inmarsat satellite interceptors. These surveillance systems are spying on everyone however the release of this information from their agent Edward Snowden distracts from the fact they are all running neurological hacking software where wireless frequencies and electronic emissions are designed to hack into a persons body and mind. They spray what are called chemtrails for various purposes like weather modification but also to enhance their wireless and radio transmitted frequencies. The Department of Defense works with private militaries organizations like Kratos Defense & Security Solutions which is involved with satellite communications, cyber warfare, and microwave electronics. They also outsource some of their criminal operations to private military companies like Northrup Grumman, L3 Technologies, and Lockheed Martin. They are using GENESIS (software), Neuron (software), Brian (software), and NEST (software) through electronics which function through all operating systems like Windows and Linux. GENISIS claims it is for a “simulation of neural systems ranging from subcellular components and biochemical reactions to complex models of single neurons, simulations of large networks, and systems-level models” however its simulator is a cover for hacking the human body. The Satellite interceptor systems are also running similar programs which can target victims with radio and electromagnetic frequencies. MERLIN is a radio telescope system named after a wizard and managed by Brian Bowsher which is running biochemical hacking programs developed by the Freemasonic members of the Royal Institute and Royal Society which are covertly working with the Science and Technology Facilities Council. The USAF’s HAARP system is partly involved with radio targeting on members of society. Karl G. Jansky Very Large Array located in New Mexico and Atacama Large Millimeter Array based in Chile are radio satellite systems also used for targeting. The Atacama system is an international project including Europe and the United States. Warkworth 30m Radio Telescope is a radio telescope system in New Zealand which is heavily involved in this targeting. The Netherlands Institute for Radio Astronomy runs its LOFAR and Westerbork Synthesis Radio Telescope systems used for targeting society with mind control frequencies. Dutch intelligence is called AIVD and headed up by Rob Bertholee. Haman is headed up by Gadi Eizenkot and Mossad is headed up by Yossi Cohen and they are involved along with CIA-Jesuits or Roman intelligence and SIS-Masonic Crown agents in overseeing and infiltrating Silicon Valley which further enables electronics and operating systems to run neural hacking programs. There is a Silicon Valley or called Silicon Wadi in Israel around Tel-Aviv with the same companies that operate in Silicon Valley in California like IBM, Cisco Systems, Motorola, Microsoft, and Seimens. Silicon Wadi and Silicon Valley are working together. The European Union owns the Human Brain Project operating out of Geneva, Switzerland which has helped to develop neuro-brain computer interface and neurological hacking technologies and software like GENESIS which was developed by Jesuit educated James Mason Bower. 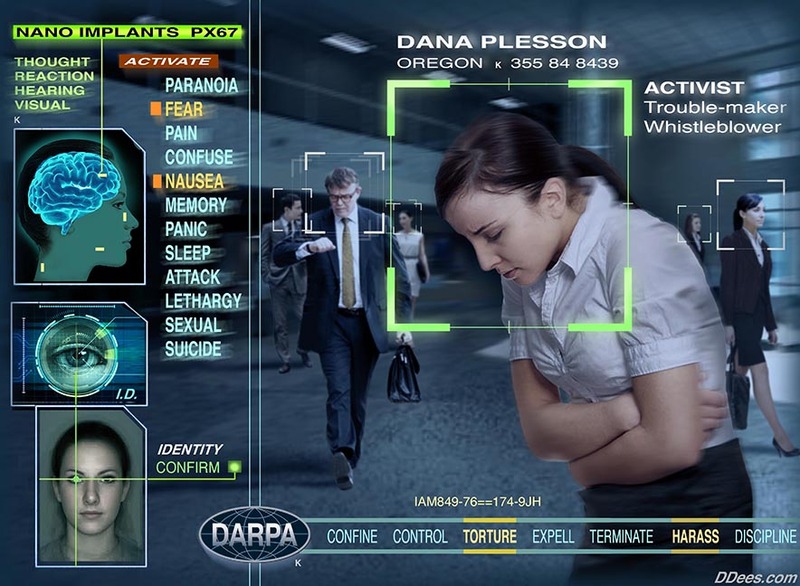 They can literally plug their minds into these systems and target and terrorize people with a form of synthetic telepathy. The Church of Scientology which is working with Silicon Valley has these technologies. Criminals in Silicon Valley working with criminals in the NSA include John Hennessy, Elon Musk, Peter Thiel, Mark Zuckerberg, Jeff Bezos, and Bill Gates. Along with these programs military and private military have developed various microwave, electronic, and pulse weapons used for covertly targeting members of society. All this is invisible to the eye and enables these tyrants to target people extremely covertly. These are crimes against humanity. These systems need to be shut down and these criminals need to be executed.